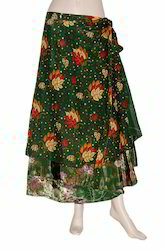 Pioneers in the industry, we offer rajasthani wrap skirt, ladies wrap around skirt, party wear girls skirt, vintage silk sari wrap skirt, beach wear wrap skirt and girls multicolor wrap skirt from India. 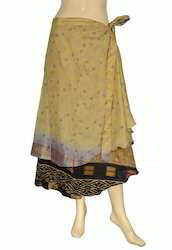 Vintage Wrap Around skirt in an exotic combination of vibrant as well as subtle shades look stunning. 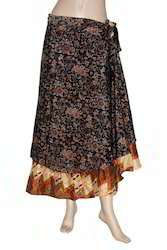 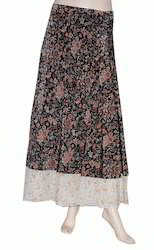 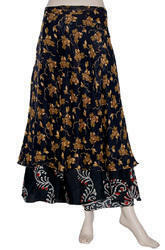 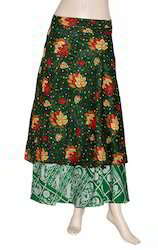 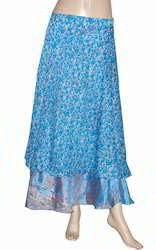 Designed with unique floral pattern, this long length skirt is ideal to be worn with tops, shirts, kurtis etc. 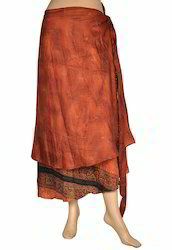 Our unique sari wrap skirts are fabricated from recycled vintage silk saris from India. 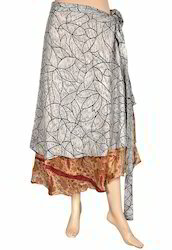 Two layered, they offer an exotic array of possibilities for wear. 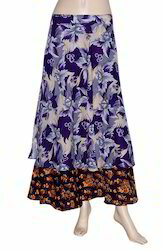 Simply by reversing them or arranging their fabric layers, you can create distinctive dresses, skirts, tops, and wraps suitable for any occasion. 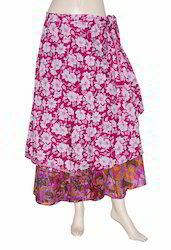 They make an ideal travel item as beach wear or resort wear. 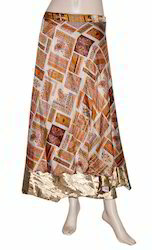 Different patterns and colors play out in vibrancy in each drape, swirl, and motion of the sari skirt. 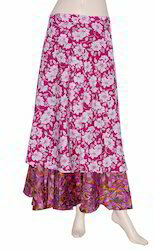 Enjoy, explore and have fun with our unique eco-friendly garments! 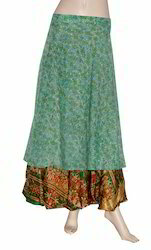 100 way to wear this skirt. 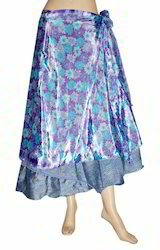 Any size available on demand. 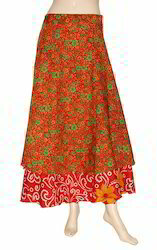 Small orders accepted with multiple designs.